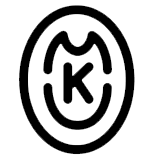 Cambria has been UMKosher certified as representing the highest quality of Kashrut supervision. The UMKosher symbol is universally recognized and is accepted and respected by all major Kosher organizations. UMKosher works with a team of distinguished Rabbis and consultants who are highly trained and knowledgeable in every aspect of Kashrut and food sciences and modern food technology.